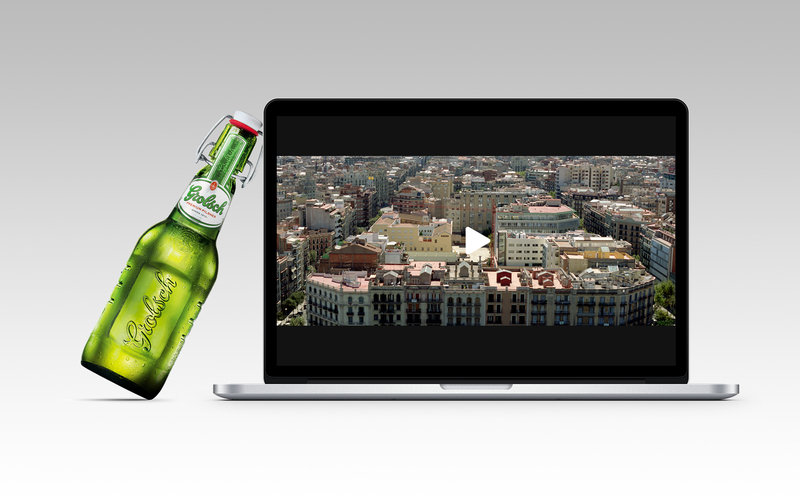 Grolsch unlocks movies with the bottle. The new bluetooth beacons technology has been used in a concept for Grolsch beer advertising campaign by Russian agency Heads and Hands. Grolsch in Russia runs campaign with promotional codes on the bottles that work on partner VOD websites. Movieunlocker.com is using specially developed beacons embedded in to the cap of the bottle. When beer is opened, the beacon protective sticker is removed. The device starts to send a bluetooth signal with a serial number that unlocks the movie on the website. Will Grolsch really adopt the idea and embed beacons in its bottles? The cost of such campaign would be too high even for the fifth imported brand in Russia, that places itself in mid premium segment. Russia and other CIS countries are out of focus for powerful SAB Miller in a result of the alliance with Turkish Anadolu EFES. Since 2012 EFES owns SAB Miller brands, including Grolsch in Russia. The company experiences significant regulatory challenges in the market, resulting in volume going down 8% since the acquisition of the portfolio. It was also forced to close its brewing facilities in Moscow and Rostov. Even before moving operations to EFES, SAB Miller struggled with Grolsch brand in Russia to the point where it created for Russian market a local, cheaper version of Grolsch brewed in Kaluga breweries. Unlike the imported version with porcelain Swingtop opening, this local variant is bottled with screwed bottles and standard 500 ml cans. Still, we really appreciate the concept. Somewhow it goes together with 2013 attempt of SAB Miller to revitalize Grolsch brand in the younger population with lighter variant Grolsch Kornuit. Do you remember this ad?